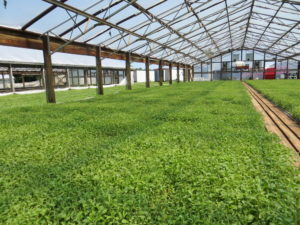 In current NC production, stevia seeds are sewn into float trays and grown in float bays that are also used for production of tobacco transplants. Plants are grown for 8-12 weeks before transplanting to the field. As companies continue to develop elite germplasm, fields can also be established from cuttings that are directly planted to the field. For first-year crops, 10-12 week old stevia seedlings are transplanted into the field in late April-May. 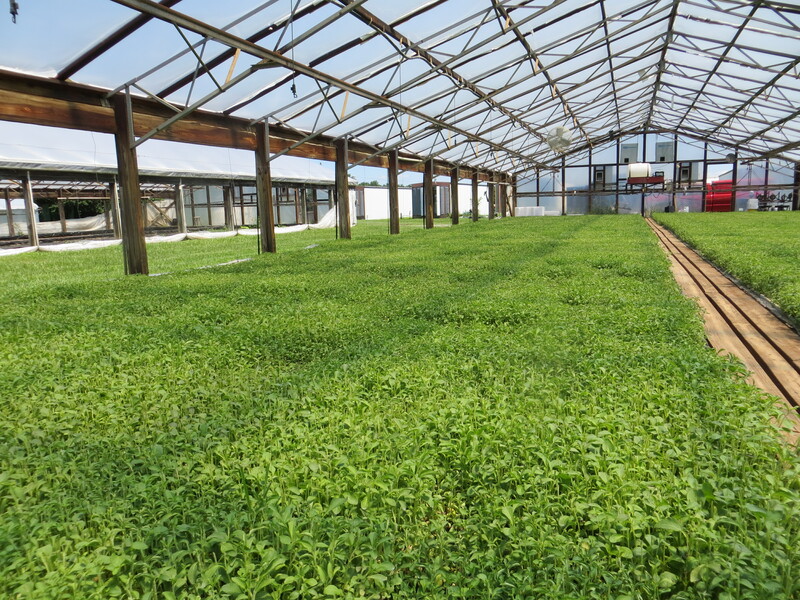 Many factors of stevia production including fertility, row spacing, and plant density are variable from farm to farm based on equipment availability and other crops that are being produced. Row spacing can range from 30 to 42”, with double rows used with the wider row spacing. Plant densities may range from 22,000-44,000 plants per acre. Research is under way to optimize planting recommendations for stevia across NC. Stevia is a perennial and will hopefully be grown for 3 to 5 years before replanting in the eastern part of NC, as long as winter temperatures do not kill overwintering plants. 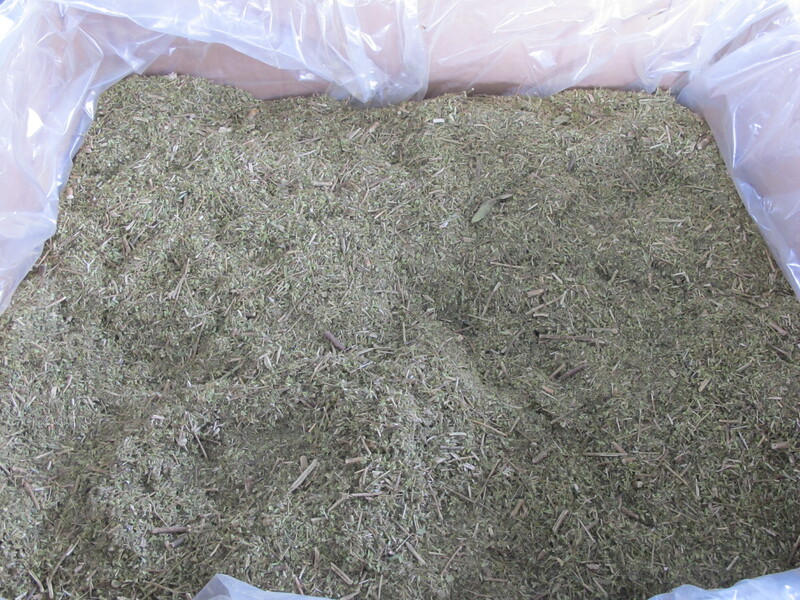 In the first year of establishment, stevia is harvested once, typically in September. At frost, stevia plants will die back but roots remain alive over winter under mild weather conditions. In February-March, overwintering roots begin to have new stems emerge. Stevia is a multi-stem plant and 2nd and 3rd year plants can have as many as 40-50 stems per plant. In perennial crops, there are typically two harvests per growing season, in late June-July and September. Currently, harvesting is completed with a hay combine, but specialized stevia combine harvesters are entering the market. After harvest, the crop is dried in bulk barns or peanut wagons at 130 F for 2-3 days. The dried leaf is then baled for shipment to extraction facilities.